Start the morning off right! Come join us and learn more about the latest with our Jefferson County Government and hear from our County Manager Don Davis. 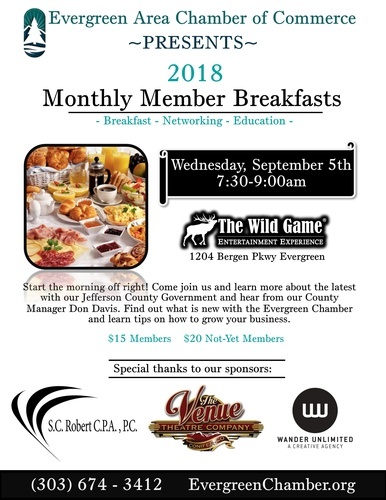 Find out what is new with the Evergreen Chamber and learn tips on how to grow your business.